NJIT has a long-established reputation as a leader in researching phenomena originating on the star closest to Earth — the Sun. NJIT’s optical telescope at Big Bear Solar Observatory and radio telescope array at Owens Valley, both in California, have greatly expanded our understanding of solar events that periodically impact our home planet, events such as solar flares and coronal mass ejections (CMEs) that can disrupt terrestrial communications and power infrastructure in addition to other effects. Under the auspices of the university’s Center for Solar-Terrestrial Research (CSTR), NJIT investigators are collaborating with colleagues in the U.S. and other countries to gain even more critical knowledge of solar physics. It’s knowledge essential not only for better basic understanding of the Sun but also to improve prediction of the solar explosions that threaten our technologies and to devise better countermeasures. What’s more, NJIT researchers are committed to fully engaging students in the search for this knowledge — researchers like Assistant Professor of Physics Bin Chen, who joined the NJIT faculty in 2016. Chen was recently awarded a five-year CAREER grant totaling more than $700,000 by the National Science Foundation (NSF). The NSF’s Faculty Early Career Development (CAREER) program offers the foundation’s most prestigious awards in support of younger faculty who, in building their academic careers, have demonstrated outstanding potential as both educators and researchers. Chen completed his Ph.D. at the University of Virginia in 2013 with a focus on solar radio astronomy. His Ph.D. advisor introduced him to fellow solar astronomer, and now NJIT colleague, Distinguished Professor of Physics Dale Gary. Through his acquaintance with Gary, and the opportunity to collaborate on a research project using observational data from NJIT’s Owens Valley Solar Array, Chen learned about the university’s leading-edge efforts in solar radio physics. But before he joined NJIT after receiving his doctorate, Chen added to his research experience through a postdoctoral fellowship under NASA’s Living With a Star program and as an astrophysicist at the Harvard Smithsonian Center for Astrophysics, where he worked on space missions dedicated primarily to solar science. Although not yet fellow faculty members at NJIT, Chen and Gary did collaborate with researchers from the National Radio Astronomy Observatory, the University of California, the University of Applied Sciences and Arts Northwestern Switzerland and the University of Minnesota on an article for the journal Science published in 2015, Particle Acceleration by a Solar Flare Termination Shock. The article presented radio imaging data that provides new insights into how a phenomenon known as termination shock associated with solar flares, the most powerful explosions in the solar system, helps to accelerate energetic electrons in the flares to relativistic speeds — propelling these particles into space at nearly the speed of light. Chen is now continuing this investigation at NJIT. 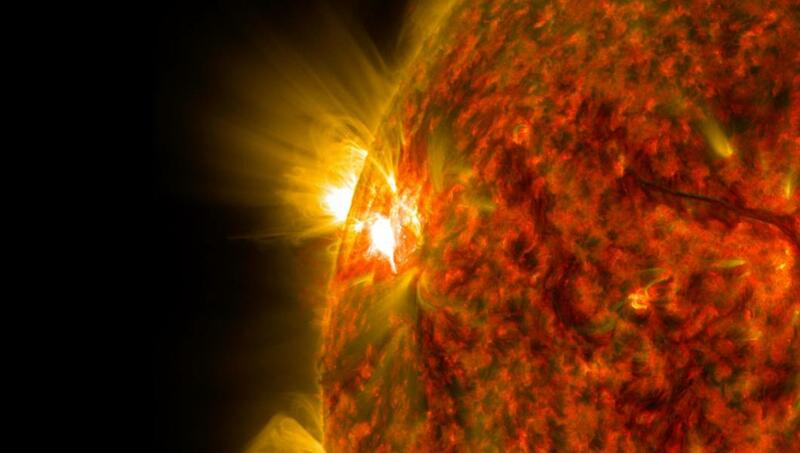 “There is a lot we don’t know about the ‘inside’ of these solar explosions and how they release so much energy so quickly and so catastrophically,” he says. “For example, how is the energy stored and suddenly released, often in a matter of seconds? For his research, Chen is drawing on streams of radio data from a number of sources. In addition to NJIT’s radio observatory at Owens Valley, these include the Karl G. Jansky Very Large Array in New Mexico operated by the National Radio Astronomy Observatory and the Atacama Large Millimeter/Submillimeter Array in Chile. Recent upgrades at Owens Valley put it at the forefront of this research as a “new-generation” radio telescope. Another very important advantage afforded by Owens Valley, as Chen emphasizes, is that it is a facility dedicated full-time to solar research. Chen is one of the few researchers seeking new knowledge of the Sun by taking advantage of an observing technique called dynamic spectroscopy imaging. This technique allows capturing an image of the Sun every 50 milliseconds at more than a thousand frequencies, and at two different polarizations. This adds up to 40,000 images per second and terabytes of raw data in a day that can be converted into 3D images with resolution far greater than previously obtainable. “This gives us the potential to learn so much more about what is going on in the heart of solar explosions,” Chen says. 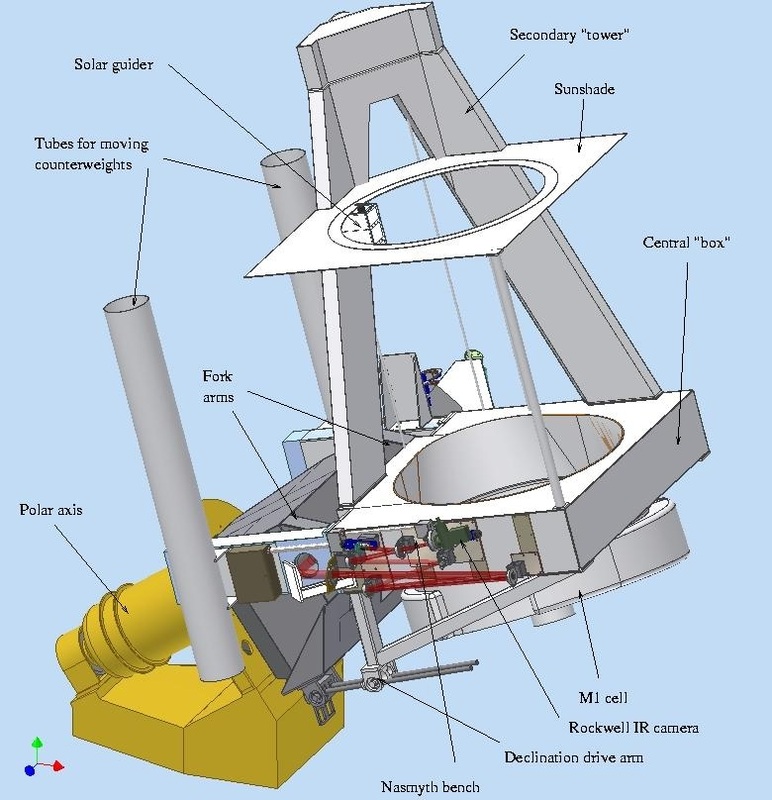 In Chen’s estimation, NJIT is uniquely experienced in building, operating and maintaining facilities dedicated to radio observation of the Sun. Potentially, for students, this presents exceptional opportunities to learn at the frontier of the many disciplines relevant to investigating the Sun in the radio spectrum — including hands-on familiarity with the equipment involved. While a limited number of students do have a chance to work at Owens Valley, as well as at Big Bear, distance and lack of appropriate accommodations prevent many more from participating in solar research on site. That’s why Chen also plans to apply a portion of his CAREER funding to creating a Solar Radio Laboratory on campus in Newark. For Chen, a complementary educational goal is to also advance the Hale COLLAborative Graduate Education (COLLAGE) program in solar physics, which commemorates the name of the pioneering American solar astronomer George Ellery Hale. There are very few graduate programs in this field in the U.S. and the necessary faculty and physical resources are widely distributed across educational institutions as well as geography. To address this situation, Philip Goode, NJIT distinguished research professor of physics and former CSTR director, proposed that NJIT join with the University of Colorado-Boulder and several other institutions that had solar physics programs in what is now known as the COLLAGE program. Scientists from NJIT’s Center for Solar-Terrestrial Research are providing some of the first detailed views of the mechanisms that may trigger solar flares, colossal releases of magnetic energy in the Sun’s corona that dispatch energized particles capable of penetrating Earth’s atmosphere within an hour and disrupting orbiting satellites and electronic communications on the ground. 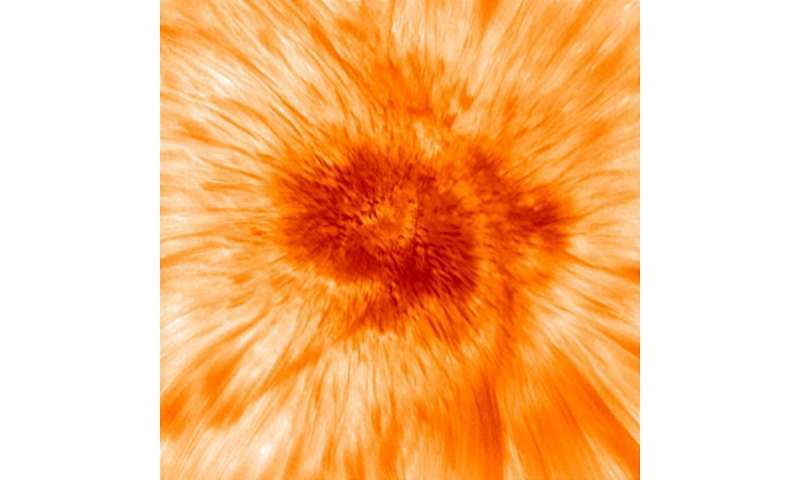 Recent images captured by the university’s 1.6-meter New Solar Telescope at Big Bear Solar Observatory (BBSO) have revealed the emergence of small-scale magnetic fields in the lower reaches of the corona the researchers say may be linked to the onset of a main flare. The study also includes the first scientific contributions from NJIT’s newly commissioned Extended Owens Valley Solar Array (EOVSA). “These smaller magnetic fields appear as precursors to the flare by reconnecting with each other – breaking apart and forming new connections – in an already stressed magnetic environment. This sets the stage for a larger energy release,” notes Haimin Wang, distinguished professor of physics at NJIT and the leading author of a paper published this week in the magazine Nature Astronomy. The study, funded by the National Science Foundation and NASA, was conducted in collaboration with colleagues in Japan and China. While solar flares are generally believed to be powered by what is known as free energy – energy stored in the corona that is released by twisting magnetic fields – the authors suggest that the build-up of coronal energy in the upper atmosphere alone may not be sufficient to trigger a flare. In their study of a prolonged flare on June 22, 2015, they observed in unprecedented detail the emergence in the lower atmosphere of what they call precursors, or “pre-flare brightenings,” in various wavelengths. There are well-documented periods in which flares occur more frequently than the norm, but it has been difficult thus far to determine exactly when and where a particular flare might be initiated. The BBSO’s recent study of a flare’s magnetic evolution, enhanced by simultaneous microwave observations from EOVSA, has been able to pin down the time and location of the magnetic reconnection prior to the flare. 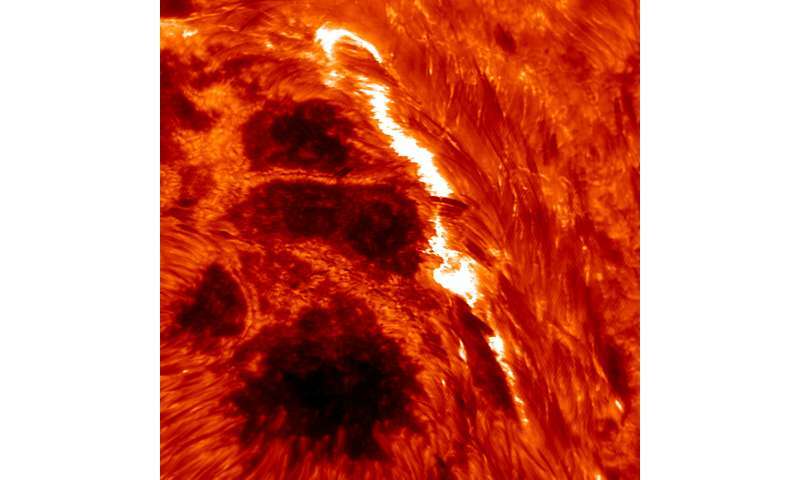 “Our study may help us predict flares with more precision,” Wang says. A co-author of the article, Kanya Kusano of Nagoya University, compared BBSO’s observations with his numerical simulation of the triggering process of solar flares. See the full article . Their research is being presented this week at the first Triennial Earth-Sun Summit meeting between the American Astronomical Society’s Solar Physics Division and the American Geophysical Union’s Space Physics and Aeronomy section in Indianapolis, Ind. Called spikes, the oscillating jets result from the penetration of magnetic and plasma waves from the Sun’s photosphere – the light-giving layer of its atmosphere – into the abutting chromosphere, which they reach by traveling outward along magnetic tubes that serve as energy conduits. “This process can be likened to a blowhole at a rocky beach, where relentless onshore waves jet sea water high into the air,” Yurchyshyn said. Compact groups of fast-changing sunspots create tension in their magnetic systems, which at some point erupt to relieve the stress. It is those eruptions that cause intense “space weather” events in the Earth’s magnetosphere affecting communications, power lines, and navigation systems. 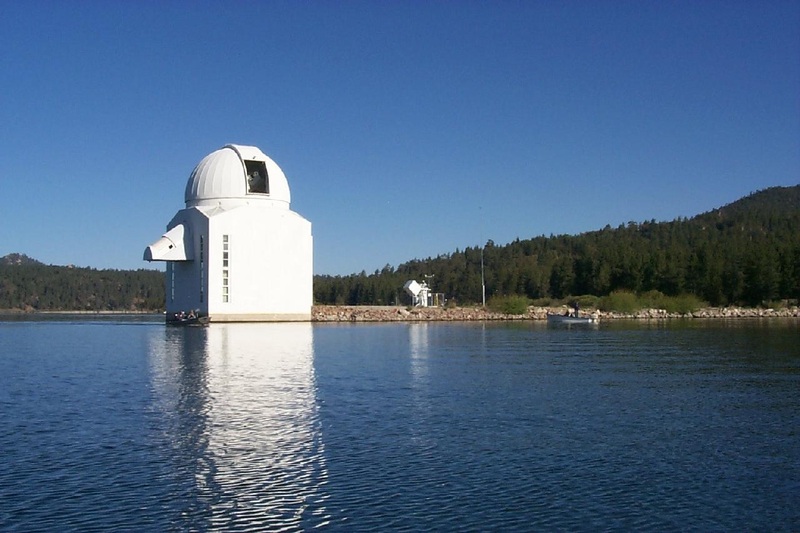 Since it began operating in 2009, Big Bear’s NST has given scientists a closer look at sunspot umbrae, among other solar regions. 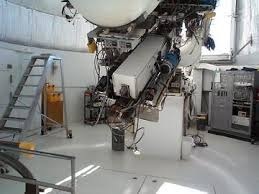 It has also allowed them to measure the shape of chromospheric spectral lines, enabling scientists to probe solar conditions. In a second paper published in the Astrophysical Journal in 2015, he is presenting another set of NST observations, taking a closer look at the sunspot oscillations that occur every three minutes and are thought to produce bright umbral flashes – emissions of plasma heated by shock waves. The NST takes snapshots of the Sun every 10 seconds, which are then strung together as a video to reveal fast-evolving small explosions, plasma flows and the movement of magnetic fields. “We were able to obtain photographs of these flashes of unique clarity that allowed us to follow their development inside the umbra,” he said. Previously believed to be diffuse patches randomly distributed over the umbra, the researchers found their location is in fact not random. They mainly form along so-called sunspot umbral light bridges, which are very large openings in the sunspot magnetic fields that often split an umbra into two or more parts.